The sun is finally beginning to shine, the hum of bees and singing birds are the soundtrack to our days and our windows and doors and thrown wide open in the hopes of enticing a little breeze inside. But what does summer really mean? Two words, people: Ice. Cream. There’s been a huge trend for simple, healthy vegan ice creams: there’s even a name for it, when it’s banana based (‘Nice Cream’, in case you’re asking). 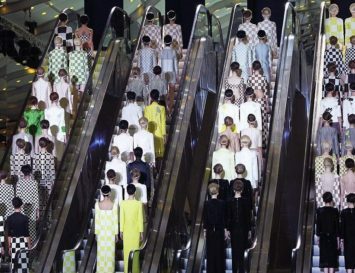 But what if you want something a bit more complicated, a bit fancier? While blending some bananas and fruit to make a simple, sorbet type of ice cream, it can be difficult to find milk-free recipes for, say, Black Forest, Butter Pecan or Rocky Road. Until now! 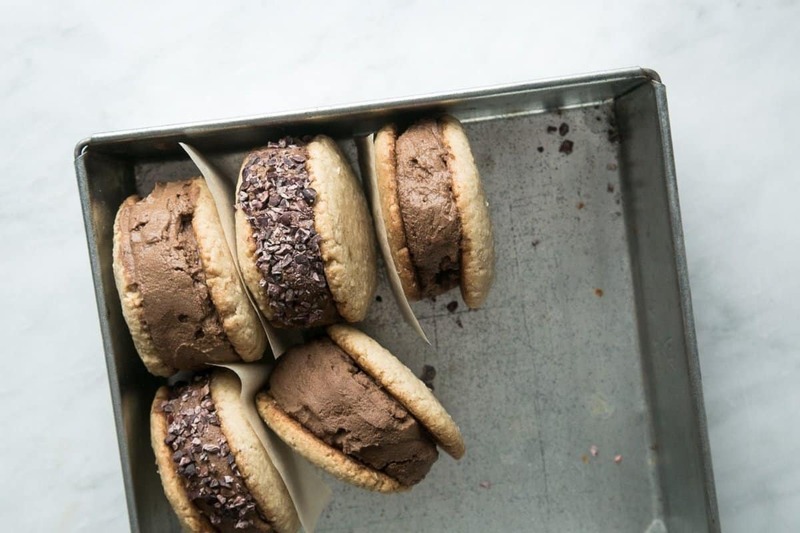 I’ve found some seriously delicious – and rather healthy – vegan ice cream recipes for you, but since ice cream itself isn’t really filling, I’ve decided to toss in a few recipes that involve a bit more substance: crunchy ice cream sandwiches, creamy sundaes and fruity banana splits. 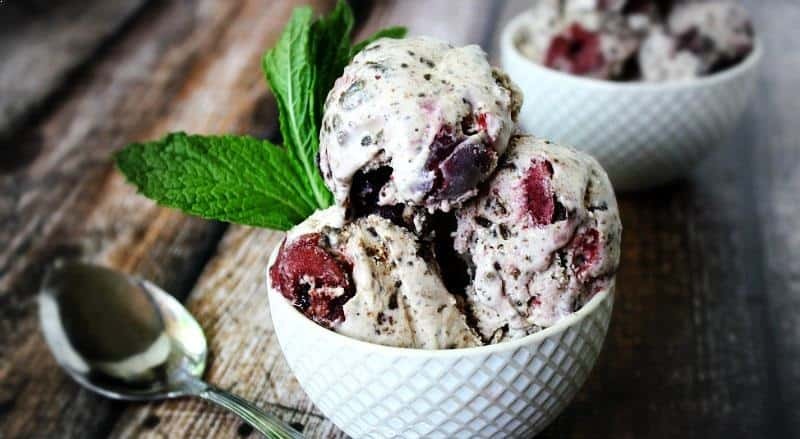 Bring on the fancy vegan ice cream! The Black Forest cake is a thing of wonder: chocolately layers tempered by a bittersweet cherry base, and lashings of fresh cream. This vegan recipe recalls the cake with its chunks of fudgy, brownie pieces and dark sweet cherries. 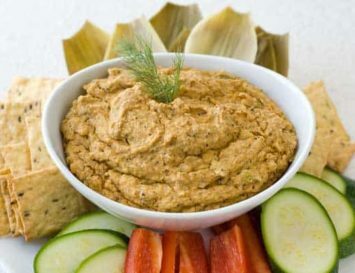 Serve this up in a bowl and it will seriously wow any of your guests when you confess to making this yourself. Want a little something more? Drizzle it with some melted dark chocolate! Two gooey tahini based cookies form the foundation of this flavourful treat. Chocolate is beautifully offset by the nuttiness of the tahini – their savory edge counteracts the sweetness of the ice cream in this recipe. And if you’re feeling really fancy, you can always roll the ice cream sandwich in toasted sesame seeds for an added Middle Eastern crunch. 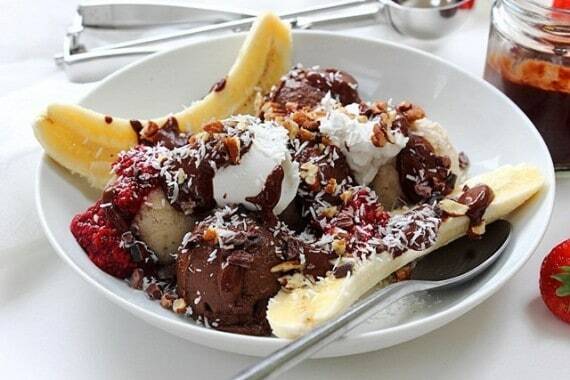 I’d would definitely put a banana split right there with one of my all time favourite desserts. There’s something so fun about dressing up ice cream with chocolate sauce and bananas, and of course the end result is truly heavenly, especially when it’s as healthy as this recipe. 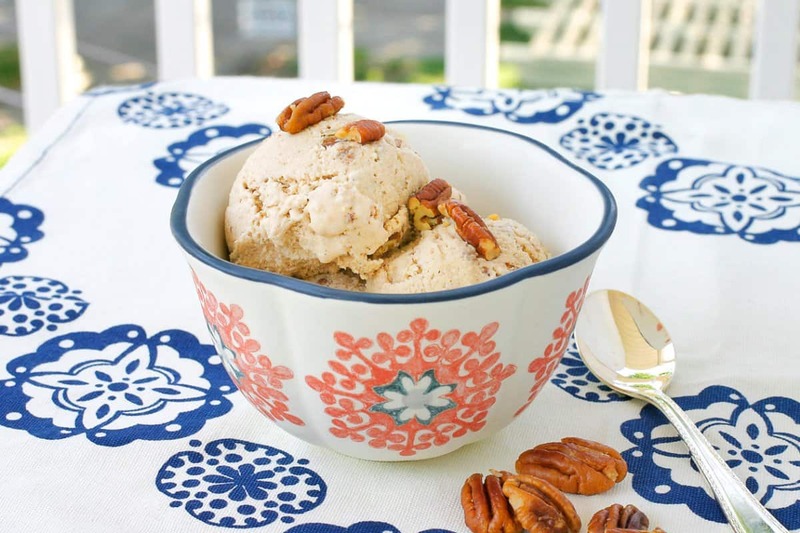 Vegan chai ice cream is the perfect combo of ‘hot’ and ‘cold’ flavours. 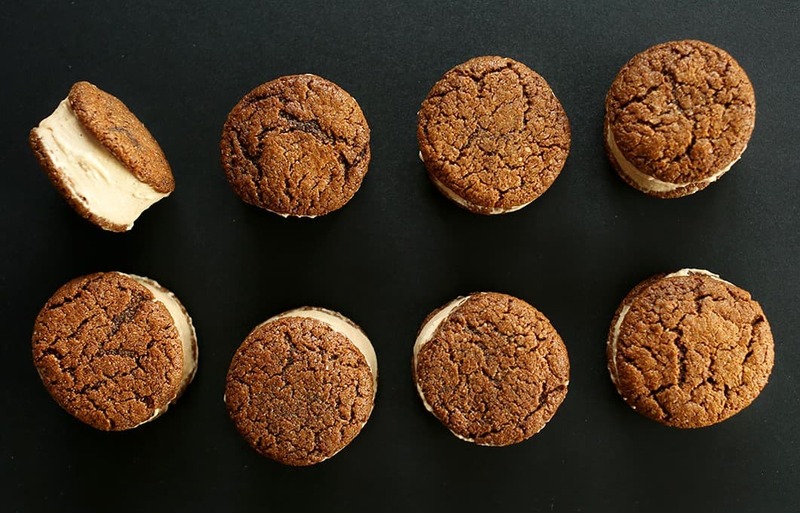 The base of this ice cream is cashew nuts which really gives a delicious texture, but sandwiched between two spicy vegan ginger cookies . 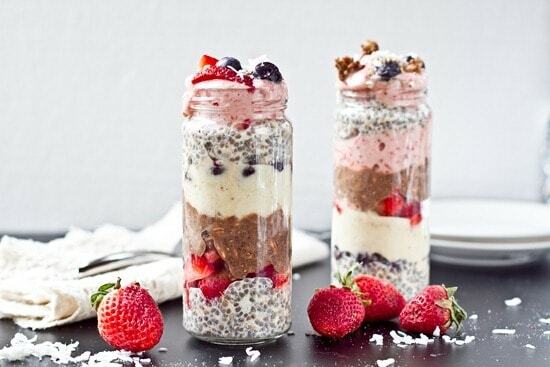 . . this is next level delicious! Brb, just making some RIGHT NOW. 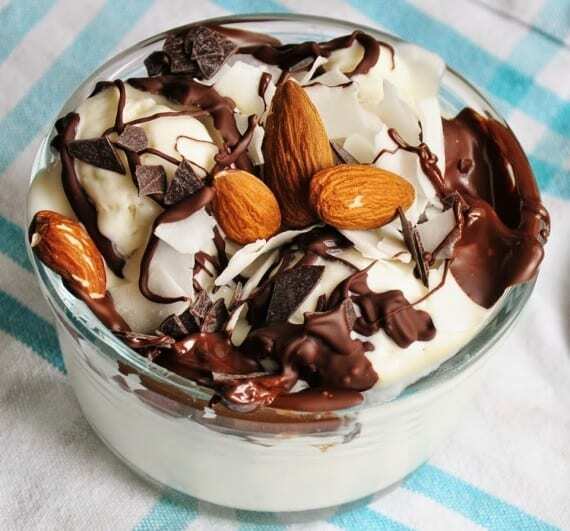 The beauty of this sundae is the mix of textures: you’ve got the hot chocolate sauce contrasting with the cool ice cream, and the creaminess of the base given an edge by the crunch of the almonds, coconut shavings and chocolate chunks. Bliss! 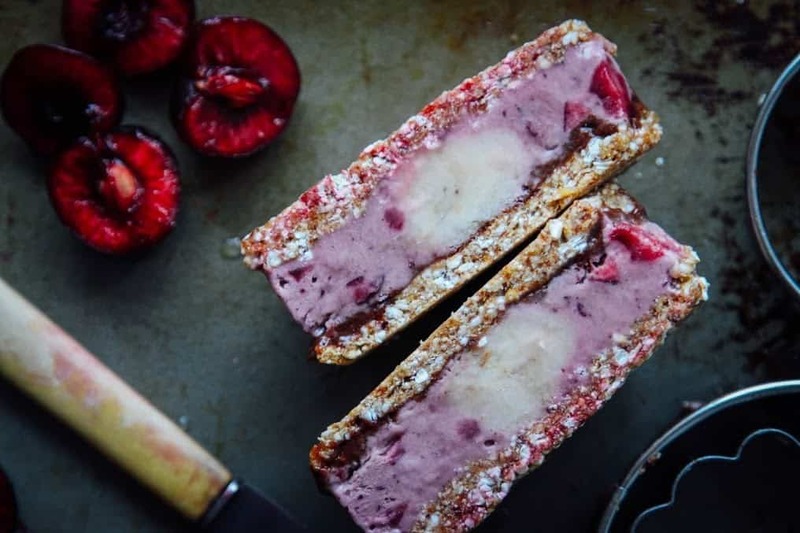 Instead of looking like your typical ice cream sandwich, this fancy chocolate cherry sandwich looks more like a cake, and it’s pretty much as good as it looks. 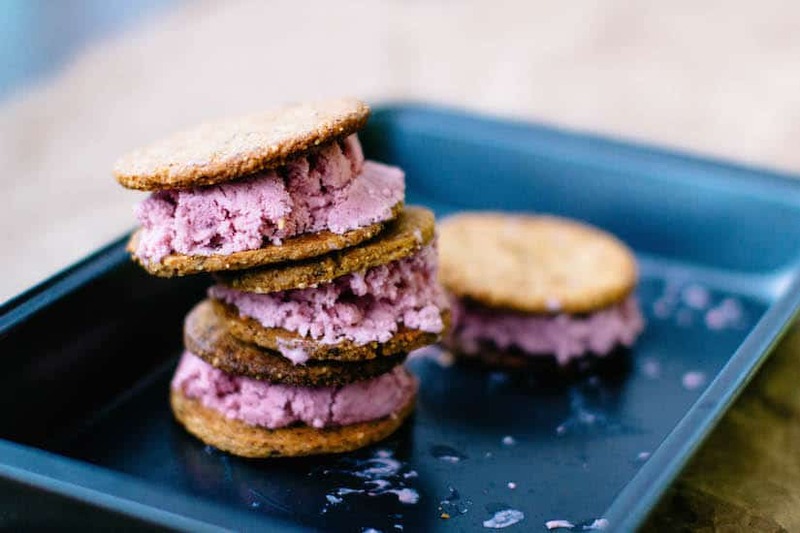 Fresh fruit ice cream sandwiched between biscuits made from buckwheat groats and gooey dates. Feel like indulging a little more? Almond butter, my friends. 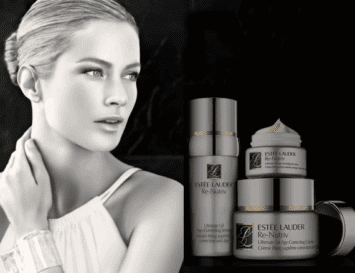 Smear it on and thank us later! This recipe is really two delicious recipes combined into one mighty fine recipe. The base is a lemon cornbread cookie, and the ice cream between them is seriously boozy; bourbon. But the addition of alcohol is really more of a scientific reason than you think; the booze in this will keep the ice cream super soft and creamy even after you’ve frozen it, meaning no shards of ice crystals, ever. So you don’t even have to defrost this – just scoop and eat. Perfect for when you’ve got friends over. If you’re looking for a really simple recipe, this is pretty much as easy as it gets. The cookies that make the sandwich are peanut butter, but you could easily switch to nut butter if you’d prefer – perhaps almond or cashew. But who doesn’t love peanut butter? I’ve gotta admit, when I first read this I thought, mango and zucchini bread? WHAT?! But I have to admit these look pretty tasty. 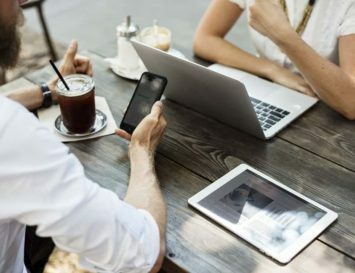 But you know how it is when you have a loaf going off or some kind of sweet bread, like banana bread or even carrot cake, and you need to use it up. The ice cream itself is super simple – it’s just nana ice cream, which is really just blended frozen bananas, perfect if you don’t have time to make fancy ice cream. 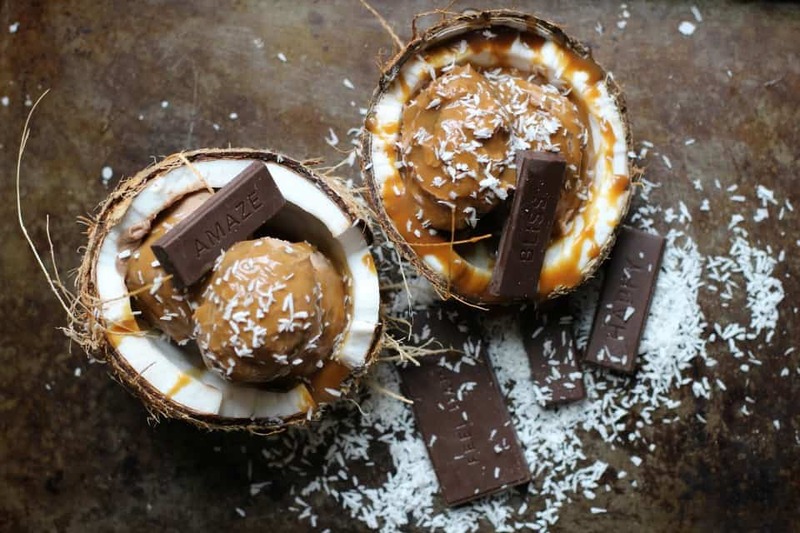 How adorable are these, in their halved coconut bowls? This double chocolate ice cream used cashews and coconut milk as its base, which by now you’ll know creates a creamy and smooth consistency. But the best part is the rich, buttery coconut caramel made from reduced coconut milk and coconut sugar.The best part is also that afterwards, you can dig into the coconut and devour that, too! 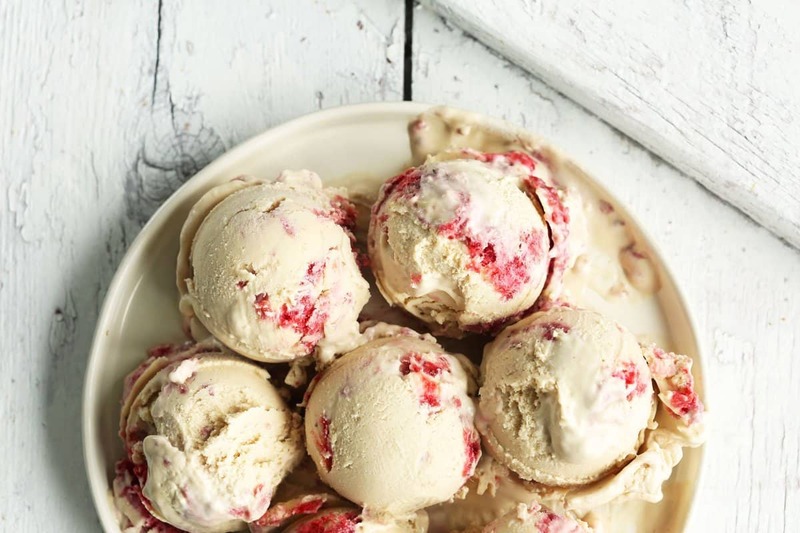 A raspberry ripple ice cream with just 8 ingredients? Check! This may look pretty fancy but it’s base is coconut and cashew ice cream which is then mashed with lightly sweetened berries which will put the ripple part into this recipe. Again, this recipe calls for raspberries, which can be either fresh or frozen which is great for when you don’t have fresh on hand. If you love soft serve, you could make this in an ice cream maker, but if you have patience – and I commend you if you do, really – pop this in the freezer and scoop it out when frozen. I love anything carrot cake based. I think it’s the addition of carrots; it just feels like I’m getting a dose of my five-a-day whilst having my cake and eating it at the same time. So naturally I was thrilled to stumble upon this spicy, crunchy beauty. This is a bit of the Middle East in a bowl. Traditional flavours like rosewater, cardamom and pistachio congregate in a deliciously, nutritious bowl. 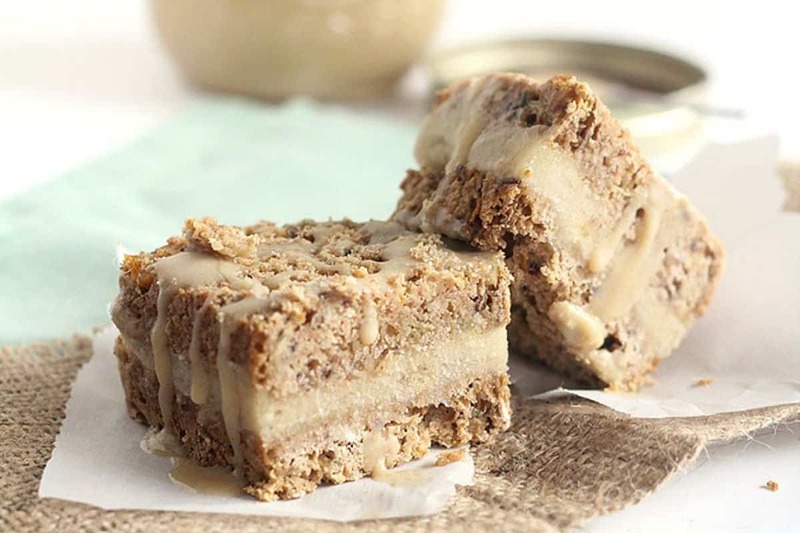 Sweetened with agave, this is a sugar-free recipe. 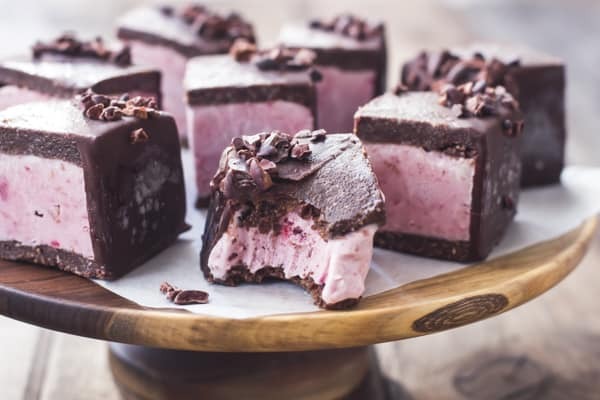 I think it’d look even more amazing sprinkled with edible rose petals. .
Ice cream sandwiched between two vegan brownies, and then dunked into raw chocolate and cacao nibs – I’m calling that heaven! The raspberries are mashed with maple syrup and a splash of bourbon – mostly to keep the berries from freezing and going too solid, and also because we’re adults, so why the hell not? These looks so fancy and mouth watering, I predict these not hanging around too long if you decide to make these this summer. This recipe is perfect if you’re a little rushed for time. 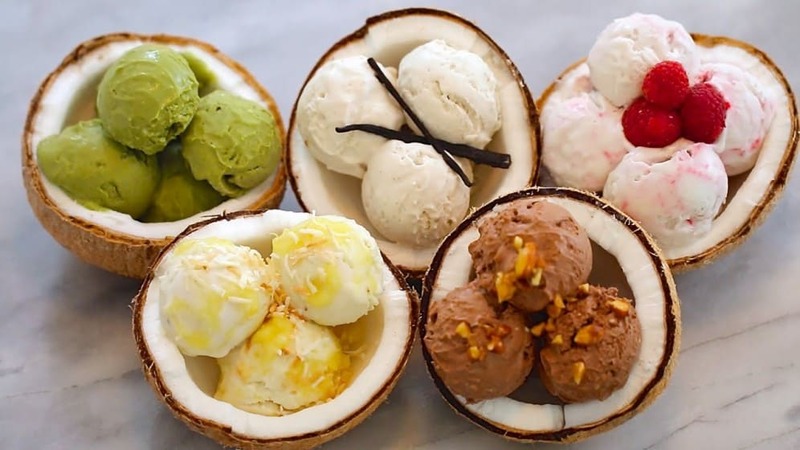 All you need to do is make the base recipe, and then from there it’s easy to transform this ice cream into six different types; perfect if you’re looking to serve a little diversity this summer. So whether you want to keep it vanilla, go for chocolate almond, raspberry ripple, pina colada or go really green with some matcha green tea, there’s surely a flavour for everyone. 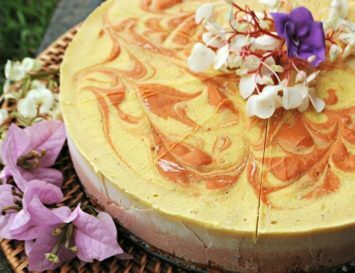 Peach and almond really compliment one another, so this recipe is definitely for those of you that love those flavours. I for one, love them both, so I can’t wait to make this. This has very few ingredients, but the recipe is a prime example of how healthy, wholesome ingredients really do stand alone beautifully. The words butter pecan just have my mouth watering. Think toasted pecans and deliciously sweet vanilla. Oh my! This recipe is really very quick and easy to make, and there’s even the option of adding in a little rum. I won’t judge you if you do. I may even add a splash in myself. I always seem to buy avocados and then can’t think of many exciting ways to use them in recipes. So, if you’re like me, it’s great to know we can throw those avocados into an ice cream. A lot of people restrict avocados to savory dishes like salad, and tacos. But they can be great in sweet dishes, too. 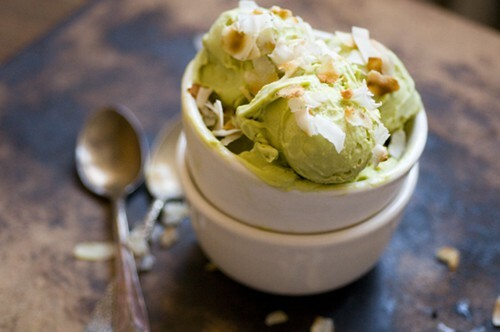 And this ice cream is pretty simple; it’s just avocados, coconut milk, a little sugar and cream (use coconut to make it vegan) with a little citrus burst from the juice and zest of lime. Toasted coconut adds a real crunchy texture to the smoothness of this ice cream. Since folded waffles were the first ice cream cones, it seems to make sense to use waffles as the basis for an ice cream sandwich, right? 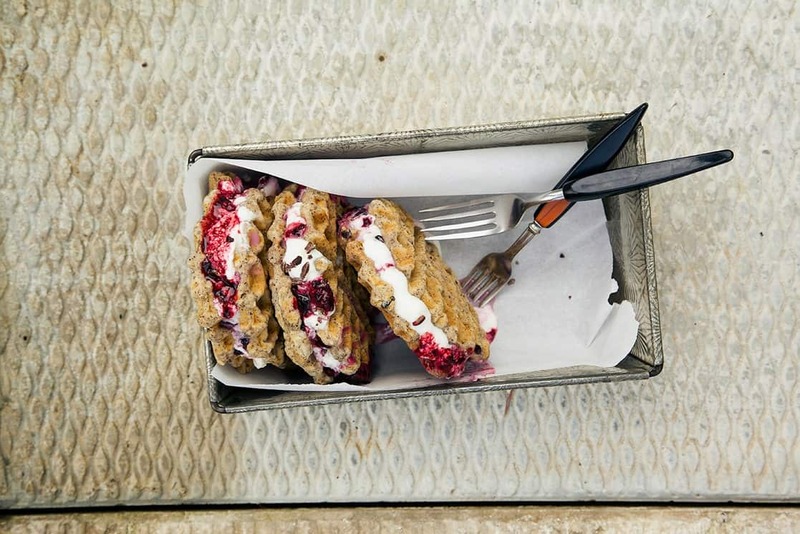 The simple vanilla ice cream is gently sweetened with maple berry mash, all of which contrasts nicely with the nutty crunch of the waffle. I’m finding it so hard to believe that all of these recipes are vegan and mostly healthy – they all look so scrummy! Juicy blackberries and plump figs work so well together, but the touch of lemon and mint will add a really fresh flavour to this, making it really refreshing during the heat. And as this recipe requires no actual cooking, it can easily be adapted to a raw ice cream by using agave nectar. Grape flavoured foods are definitely one of my favourite, after watermelon. 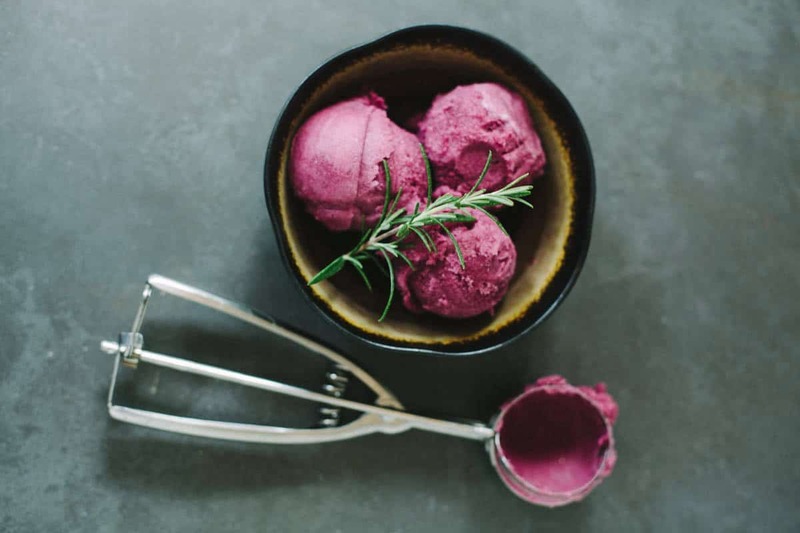 Grape just has this wonderful taste when juiced or used to flavour foods, so I was so happy to find this refreshing grape sorbet, but I was a little hesitant when I saw it also has rosemary. Rosemary and grape . . . together? But apparently they’re very complimentary when put together, so this sorbet may just surprise you. This just looks like it would be refreshing and cooling on one of those hot summer days. 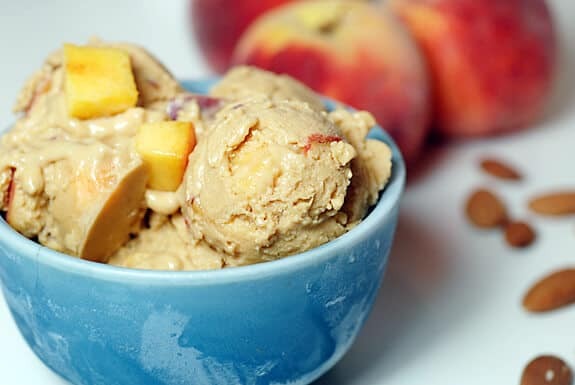 Peach sorbet is both sweet and tart at the same time, so this can be enjoyed by those with both and sweet and savory tooth as neither tone is too overbearing. And the best part? If you’ve got no peaches, you can sub fresh for frozen. 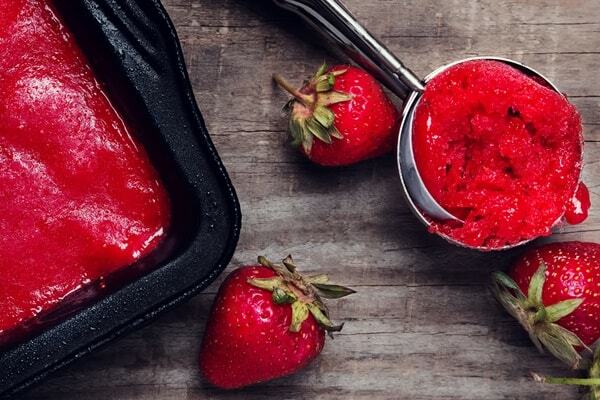 But if you’re using ripe, fresh fruit, be sure to add lots of ice to make this sorbet come to life. This sorbet is as simple as it comes; it has just four ingredients. Strawberries, pears, agave nectar and lemon juice. I don’t know about you, but I LOVE the combination of pears ad strawberries. 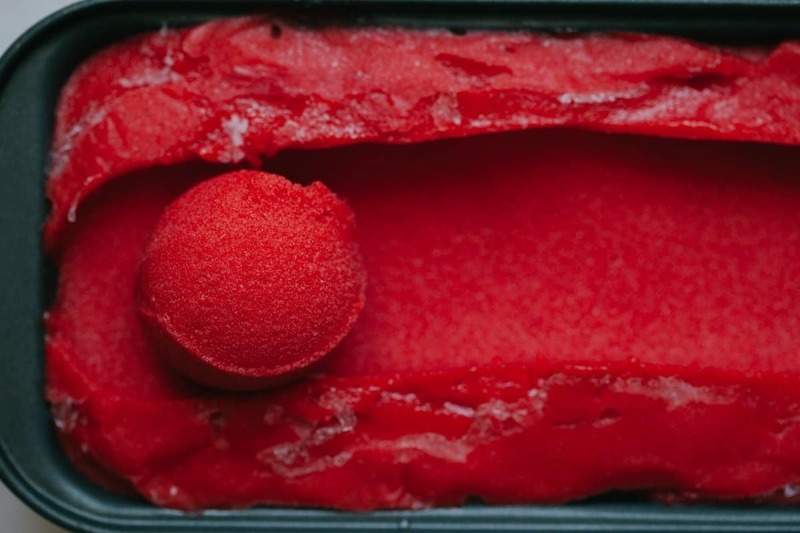 And not to mention the fantastic redness in this sorbet is stunning. How adult is this? Posh, even, depending on the wine you use. 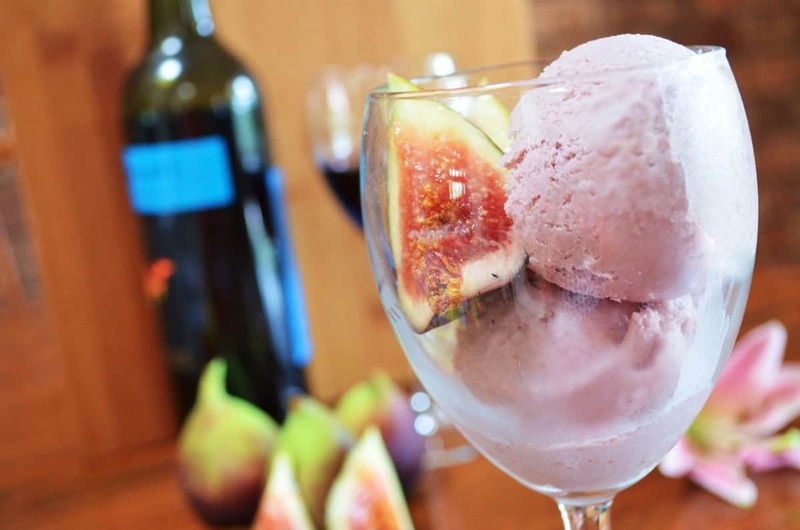 Figs and red wine combine in this creamy concoction to make the perfect, grown-up dessert for a dinner party. Personally, I would serve this with a fig compote rather than a chunk of fruit, but that’s just me. What impresses dinner guests most? I personally think it’s when they can see you’ve made an effort. And these deliciously layered desserts just (ice)scream to your guests that you think they’re worth your time and love. With layers of pudding, soft serve ice cream and fruit, these are a multi-textured, multi-flavoured, healthy, fruity delight. Another flavour combo that will have you thinking whaaaat, but some flavours just go together most unexpectedly and herbs do quite well in sweet dishes. 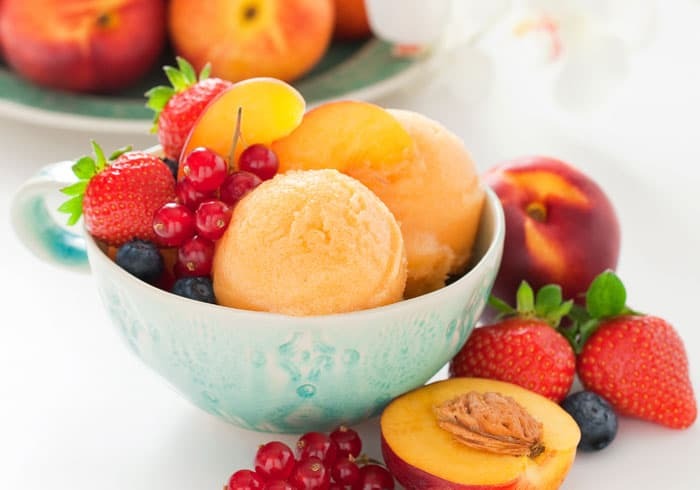 And the wonderful thing about sorbets is that they really so require minimal ingredients, and little preparation beforehand, so they’re a wonderful dessert to whip up for summer. 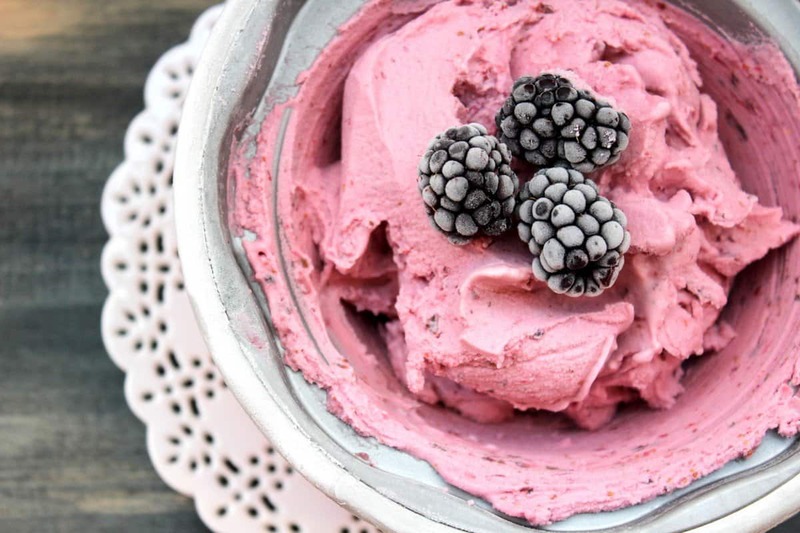 Vegan Ice Cream is Trending!